Latest pop up library at Musselburgh Primary Care Centre a great success. Support for the Start Chairperson Janice MacLeod is taking her mini library on tour to spread the word about the Reading is Braw initiative. After appearing at Tesco on our 1 March launch day she spent Friday at the indoor street at the Primary Care Centre. Many of the people she spoke to were aware of Reading is Braw and were supportive. She said it was great to see pupils from the Burgh and Campie PS who took books to read and share with friends. The pop up library highlights that the initiative is not just for schools but for everyone. People have been keen to donate books and can now be dropped off at customer services Brunton Hall and John Muir House in Haddington. From tomorrow [Thursday 17 March 2016] books can also be dropped off at local libraries and at the Kip McGrath education centre in Musselburgh High Street (near S. Luca). Check back here for other drop off locations. Children’s books are particularly appreciated. It is hoped that a Pop up Library will be scheduled weekly more information to follow. Loretto RC primary school in Musselburgh has launched a competition for pupils that calls for the finest detective skills. As part of Reading is Braw, members of staff have chosen their favourite book. 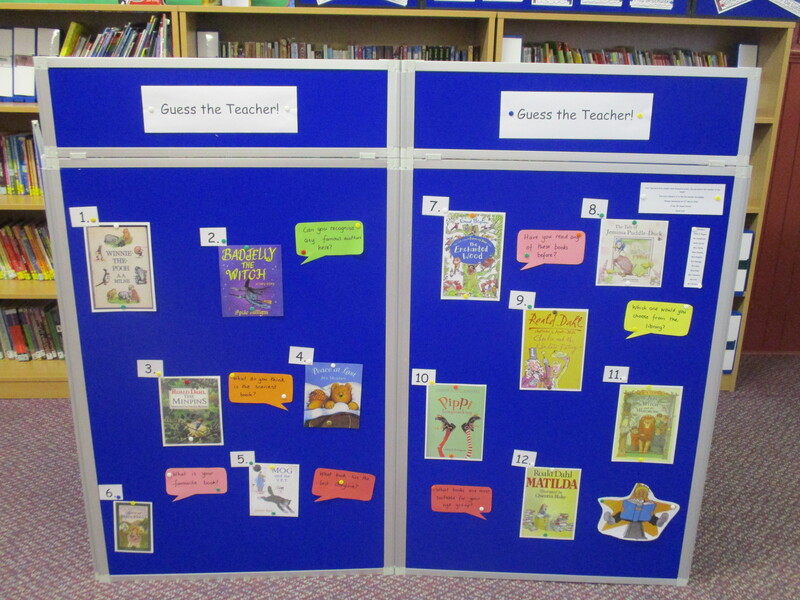 Miss O’ Regan has mixed them all up and wants pupils to match the book to the teacher. How will they solve the puzzle? Will they grill their teachers on what they like to read? Will friends team up like “The Famous Five” to solve it together? The competition closes on 21st March and the winner receives 50 house points! This is the second of two activities started at Loretto for the reading initiative. 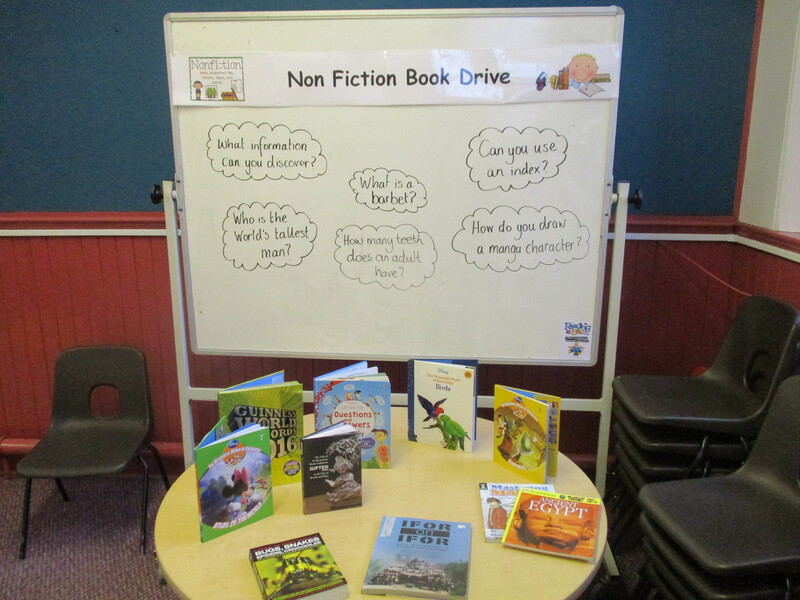 The first, a “Non Fiction Book Drive” has seen children from across the school bring in some non fiction books. Over the next few weeks, various competitions will be held. It is hoped that some children will participate in a non fiction scavenger hunt. 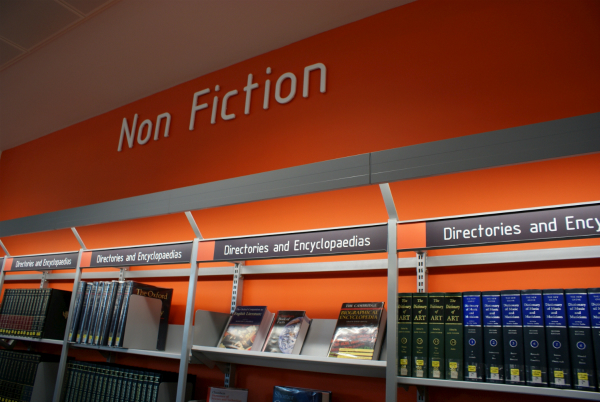 There’s still time to bring in a non fiction book so pupils who haven’t yet done so needn’t worry. Children do better when they read more and reluctant readers often just haven’t found the right writing yet. Non fiction, comics and magazines are all great ways to practice reading which helps children get more out of school. Loretto RC primary school in Musselburgh are making a great start to the “Reading is Braw” project. Many of the children are not only doing the minimum requirement but actually doing more. Well done! Newcastle City Library licensed by creative commons. 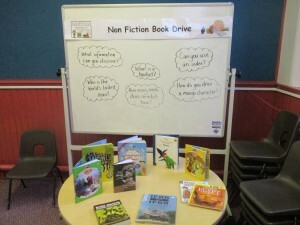 Next week we are going to have a non fiction book drive. 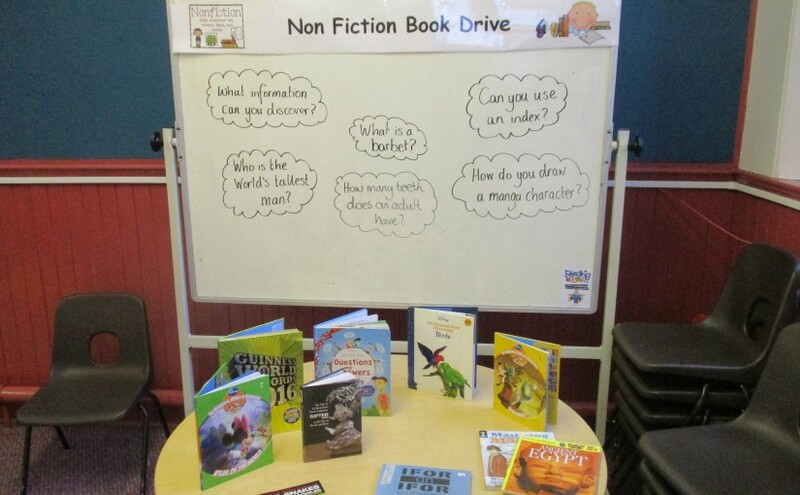 Children are being encouraged to bring in non fiction books so that we can find out what is the most unusual non fiction book, what is the longest non fiction book, what is the funniest non fiction book that we own. 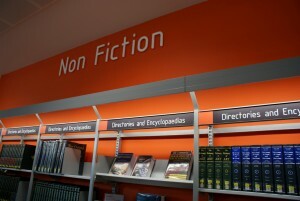 We hope to create a gallery of non fiction books in the school and have a scavenger hunt for the children. If anyone would like to get involved, please email Kate O’ Regan: koregan@loretto.elcschool.org.uk. 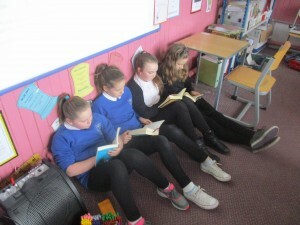 The children in Loretto RC primary school in Musselburgh are enjoying a lunchtime reading club. They are coming to the P7 classroom Monday- Thursday lunchtime and reading for 20 minutes. They are using this time towards their Reading is Braw commitment! 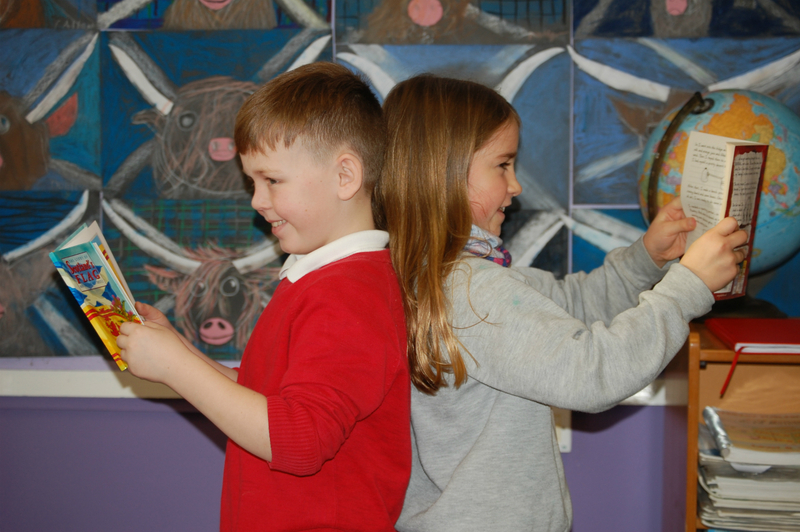 We hope that the P3 and P4 children will also have this opportunity soon! Children do better when they read more. Encouraging them to read boils down to this. 4. talk to them about reading. 5. stage a takeover of everything that isn’t reading until they have watched Taylor Swift talking about reading in this half hour video from Scholastic. Only nine sleeps now until the big launch of Reading is Braw. Oh, who am I kidding, you’re all bopping away to Shake it Off now, aren’t you? It’s getting exciting here at Reading is Braw HQ as we gear up to our 1st March official launch. Children do better when they read more. Having access to a choice of things to read and opportunities to read makes it so much more likely that they will read. We’ll share dozens of ideas for creating excitement around books in the coming weeks, for now though here is just one. Groups taking part in Reading is Braw will be leaving books in public places where someone can pick them up, read them and then share them again. Inside we’ll leave a message encouraging people to read the book and pass it on. We’ll also ask them to let us know where the book has gone by commenting on this blog or by tweeting us at our Twitter account @reading_is_braw. Already one book as been taken to New York, USA and we are all hoping it is found by someone who will get in touch. So, if you see a book around Wallyford, Whitecraig or Musselburgh feel free to send it on an adventure – but don’t forget to read it first! 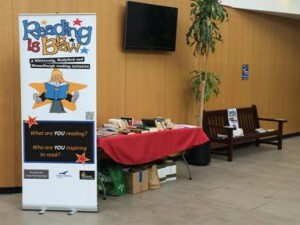 Local businesses are being asked to show their support for Reading is Braw – an initiative to get children reading more. Due to launch on Tuesday 1 March, Reading is Braw will run for 15 weeks in Musselburgh, Wallyford and Whitecraig. Thousands of local children will take part in a challenge designed to get them to read more often because it boosts their learning and is a good sign of future success. The team behind the initiative includes schools, nurseries, libraries, community learning and parents. It’s now reaching out to businesses for help by either showing their support on their premises or by donating money. The funds will be used to help pay for visits by children’s authors and for school trips carefully designed to motivate kids to read. As part of the challenge children will be wearing lanyards with a space for them to write the name of the book they are currently reading. 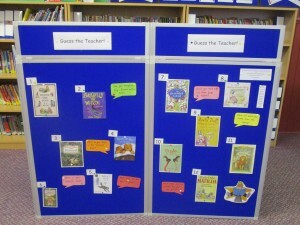 The aim is to spark positive conversations between the children and others about reading. Businesses can show support by having their staff wear lanyards and by displaying posters. We did it! Reading is Braw has officially launched and you can see some of the highlights of the day in this video from David Gilmour (digital wizard with East Lothian Council’s schools service). You will see children reading here, there and everywhere. You will hear children light up the screen with their love of stories. If it inspires you to read or to read to a child let us know which story you went for. A Whitecraig, Wallyford and Musselburgh reading initiative. Switch off and Read Week. Have you found one of our books? Susie Rose on Have you found one of our books? Ana Lozano on Have you found one of our books? Amelia on Have you found one of our books?